Home / product or service reviews / VanHeusen MyFit Custom Clothing-best of both worlds! VanHeusen MyFit Custom Clothing-best of both worlds! As you know there’re two ways to buy a shirt/trouser traditionally- one is to buy a ready-made shirt from a showroom, the other is to get a custom one stitched by a tailor. While picking up a ready-made shirt is quick & convenient, they are often made keeping only chest size as reference and options of colour, sleeve length, overall fitness and other parameters are often limited. One needs to chose from an existing stock, which could mean compromise on some parameters mentioned above. On the other hand going to a tailor is even more tricky affair. While tailor made shirts would fit perfectly, tailors themselves are often busy and need few weeks to couple of months to finish your work. During festival season, they are so busy, they may not even accept a new order. Buying a shirt piece, then getting it stitched at times may cost more than mass produced ready-made shirt. How nice it will be if we can have the best of both worlds? Welcome VanHeusen MyFit concept. 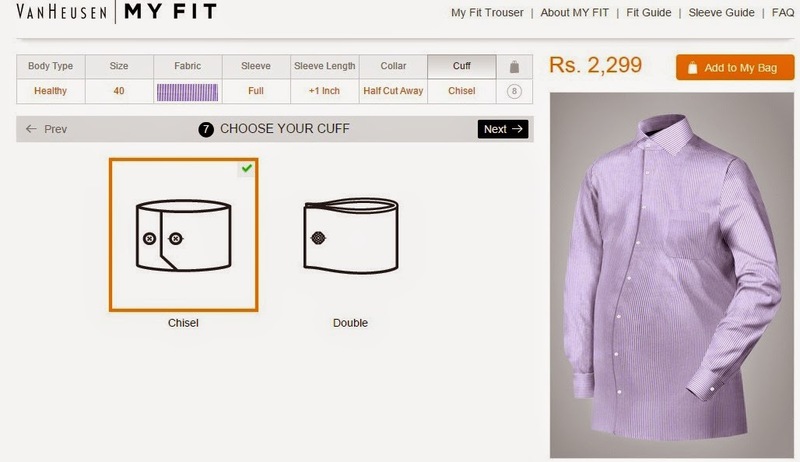 MyFit is an interesting and useful initiative by VanHeusen. It gives you the flexibility of tailor made dress coupled with the convenience of ready-made shirts and trousers. I had an opportunity to try this MyFit concept recently and this post explains how it works. 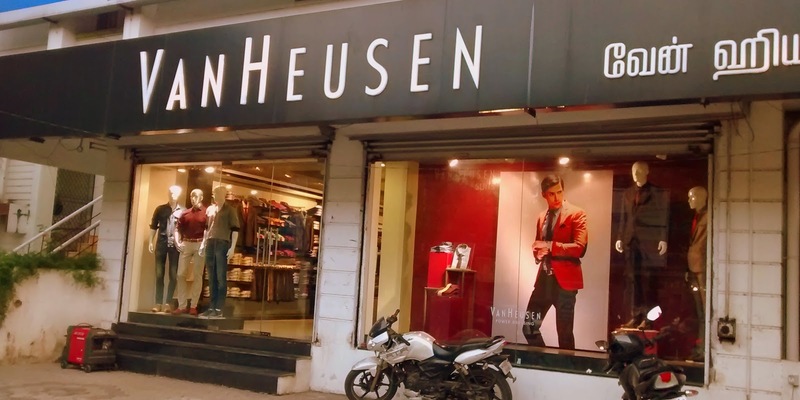 I first visited a Van Huesen store in Adyar, Chennai to check it out. Store staff helped me understand the concept. I began with a body type, from one of the six myfit body types- 1) healthy fit,2) tall fit, 3) slim fit, 4) Ultra-slim fit, 5)Snug fit and 6) Custom Fit. (Note that there’s no such thing as ‘Fat fit’, ‘Super fat fit’ and ‘Big Tummy Fit’- very clever of VanHuesen) Store has few sample shirts and trousers for every body type and size, so that customers can try it out for themselves. For my body, I was told healthy fit and tall fit are the two most probable fits. I tried the Healthy fit first- it was fitting fine but sleeve length was little less. Then I tried Tall fit, which was also fine but I felt first one was the better choice. I was shown all available colour options. It was not just colour- actual material piece, so that we could touch and feel the fabric along with its colour. I noted down the colour code that I liked. Then we went through the same process for the trousers- selected a base fit, noted the length at which it needs to be folded, noted down the colour code of my choice. I was done. At this point, one can order in the store itself or go home and order online at one's convenience. I opted for the later. 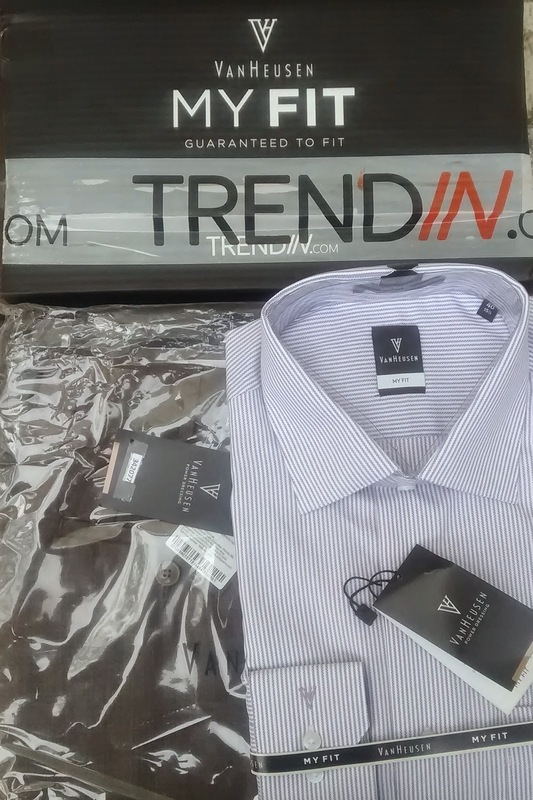 Back home, I logged in to https://www.trendin.com/, VanHeusen's online store to place my order. As I knew my base fit (body type), I could complete the customization in a few easy steps. Selected size, specified fabric code that I had noted down, specified sleeve type, indicated that I would like the sleeve elongated by one inch (as I had felt it little short during my trial), defined the cuff design around the wrist and I was done. There is a visual representation of the shirt as you customize it. Clearly Aditya Birla group's quarter century experience is at work here. With over 35 fabric options, 11 sizes across 6 fit types, everyone is guaranteed to find a perfect fit. 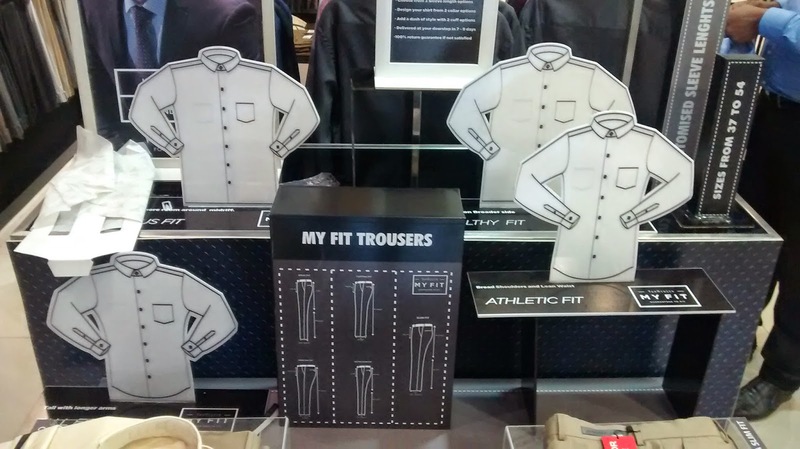 Not just shirts and trousers- even suits are on offer in MyFit. In about one week's time, I had my customized shirt and trousers delivered to my address. No tailor could be faster. I had noted the length at which trousers had to be folded in the end. If you don't know this measurement, you have the option of taking it to nearest store and get it done for free. When I have to order my next shirt, I don't have to visit the store at all, since I already know my body type. Do try out this innovative and flexible way of getting your shirts, trousers and suits custom built, minus the hassles of long wait. Pricing is pretty much at par with other branded shirts and trousers. I am sharing this post with my husband :) Thanks..